South East Water supplies over 2.1 million customers with continuous, high quality supply of drinking water water. They wanted to increasing payment channels available for customers to pay bills and reduce call queues for a better customer experience. Making it easier for customers to perform simple tasks like checking balances or creating a direct debit. The company also wanted to explore other payment channels that customers could use to pay their water bill. For instance, creating a bespoke payment website for Welsh Water would not only reduce calls into the contact centre, but would avoid using third party websites which are expensive and direct payments away from the company. 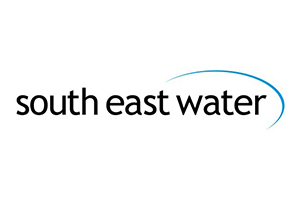 South East Water selected EckohPAY Eckoh's automated PCI DSS compliant processing service. The self-service solution allows callers to pay their water charges using debit and credit cards. This removes any call waiting time for an agent and also frees up contact centre agents to focus on more complex enquiries. Customers call the automated service to obtain balance checks, set up a direct debit or pay their water bill. The service also uses EckohID&V which first identifies and validates a customer through their account number and postcode before they continue to make a payment. The web version of the service provides the same functionality as the IVR, by first identifying the customer and then enabling them to check their accounts online. SMS payments reciepts are sent to customers using both phone and web based options. By using EckohPAY, South East Water has reduced their operational costs and increased their customer satisfaction rates. "It's now easy for our customers to do simple task such as paying a bill or checking their balance using the EckohPAY service. We've also seen reduced queue times into our contact centre which has increased customer satisfaction as well as taking more payments than we anticipated. The service has completely exceeded our expectations."